Losing weight is hard but not impossible, by maintaining a healthy balance between a nutritious diet and reasonable exercising regime you will be able to achieve your desired body shape and feel healthier than ever, eating vegetables and fruits is very much recommended while losing weight, they are healthy options, low in calories and fats but rich with nutrients, however some people may get a bit lazy to keep on chewing on the raw fruits and vegetables, in this case having them as juices will be the ideal alternative, you can get all the nutrients your body need while hydrating your body and not having to chew on fruits or vegetables, below we will list to you seven juices that will help you a greatly to lose weight. Lemon or lime should be a must in your fridge if you want to lose weight, drinking lemon juice unsweetened first thing as soon as you wakeup in the morning on an empty stomach will help detoxify your body as well as boosting your metabolic rate which in turn speed up the fat burning process and maintain your energy levels throughout the day. A glass of carrot juice provide your body with calcium, magnesium, potassium and vitamin A, vitamin B1, B3, B6, vitamin K and vitamin C, as well as antioxidants that help to boost the metabolism in your body and enhance your immune system to help protecting your body against many types of infectious diseases and cancer. Although beetroot juice is not the popular but it in deed is one of the most nutritious juices you can get advantage of while trying to lose weight, beetroot juice contain vitamin A, B6, B12, K, E, C and D as well as potassium, calcium, phosphorus, iron, magnesium, zinc and a lot of fibers, the vitamins, minerals and fibers help to provide the body with its needed nutrients with very few calories. 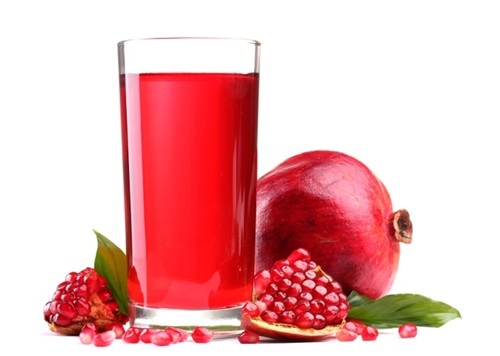 Pomegranate juice is very popular and loved by a lot of people all around the world, it doesn’t need any sweetening and it he’ll curbing the appetite, it is rich in fibers and antioxidants that help speeding up the body’s metabolism which aid in losing weight fast. Cranberry same like the rest of the berries is rich with antioxidants, antioxidants is needed to break down the fat cells. Although bitter ground juice may not be so popular or appealing but it contain high levels of antioxidants, it also work as a wonderful detoxifying drink and it reduce the accumulation of fat cells. 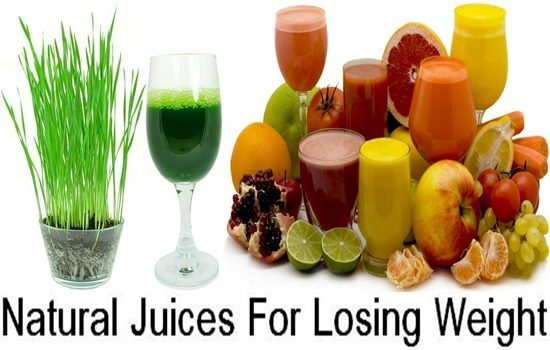 Wheatgrass is known to be very healthy for our overall health, however when it co!is to weight loss, wheatgrass can provide a great help, it is one of the best detoxifying drinks you could drink, its ability to detoxify the body make it one of the best drink for weight loss, it also contain potassium which is needed to break down fat, the high levels of fiber contained in wheatgrass help to curb hunger and maintain sugar levels in the blood regulated.